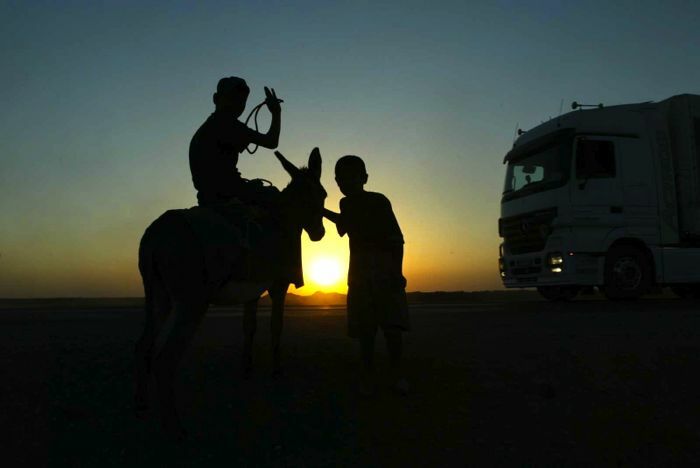 Surrounded by myths, legends and destiny: the Silk Road. 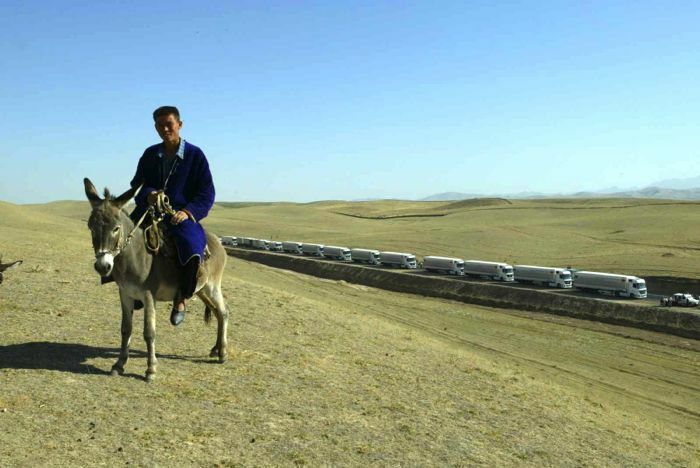 Where the caravans of Antiquity once transported silk and other precious goods over thousands of kilometers from China into the West is now where today a new link between Europe and Asia is to be created. 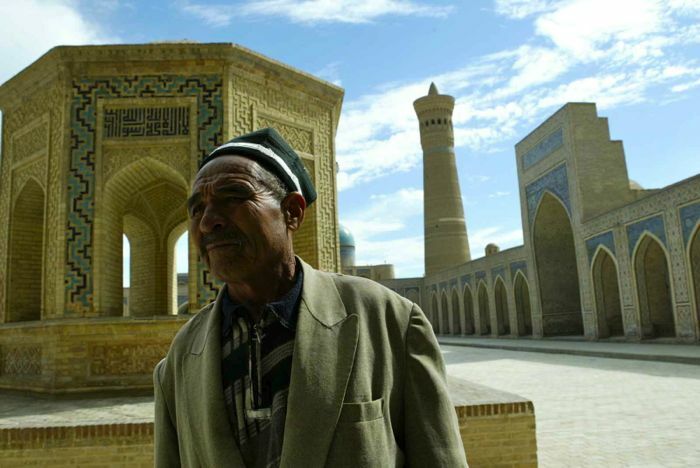 The Mongol leader, Genghis Khan, left traces here, as did the Red Army. 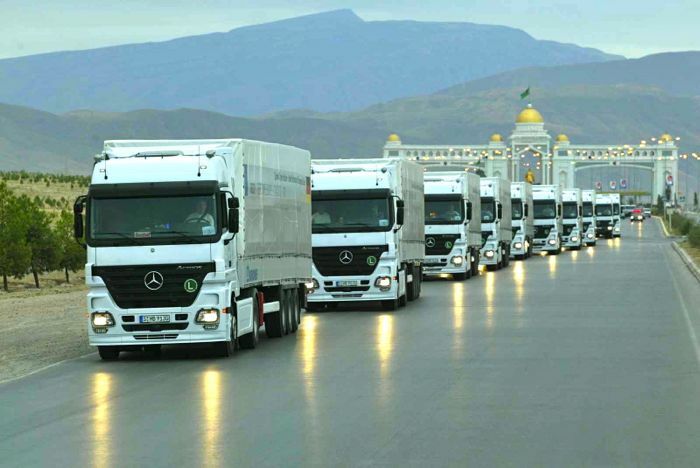 A European Union aid convoy brought a part of the old route back to life. 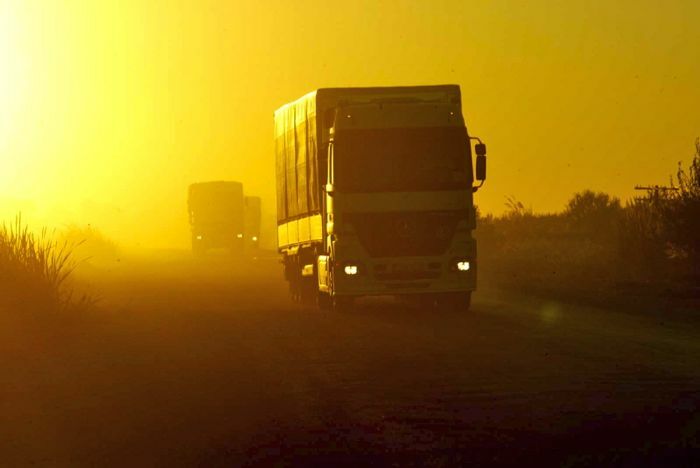 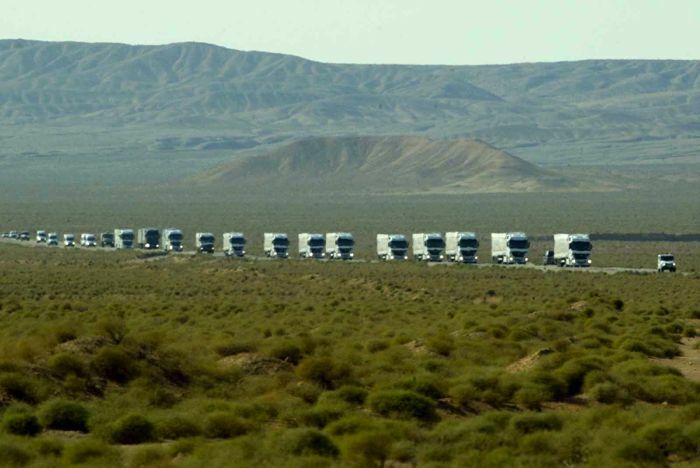 Colonies of trucks full of development aid rolled along 7000 kilometres from Brussels to Afghanistan, through the mystical Caucasus to the glitzy middle east.